The Fatima's Garden stacking rings collection by Thomas Sabo are ideal for those who love to mix and match their jewellery. 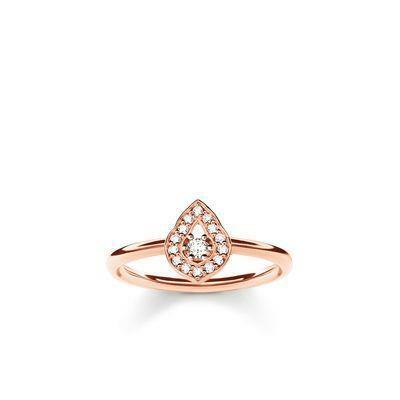 This 18ct Rose Gold plated Sterling Silver ring features an eye-catching ornamental drop shape filled with sparkling cubic zirconia. This elegant addition will stand out in any ring stack adding sparkle to your look.